Please note the posting of this introduction to the book “The Essential Stalin” does not necessarily imply support of Franklin’s political line. I used to think of Joseph Stalin as a tyrant and butcher who jailed and killed millions, betrayed the Russian revolution, sold out liberation struggles around the world, and ended up a solitary madman, hated and feared by the people of the Soviet Union and the world. Even today I have trouble saying the name “Stalin” without feeling a bit sinister. This belief could be dismissed as the product of an equally effective brainwashing from the other side, except that the workers and peasants of the Soviet Union, who knew Stalin best, share this view. For almost two decades the Soviet rulers have systematically attempted to make the Soviet people accept the capitalist world’s view of Stalin, or at least to forget him. They expunged him from the history books, wiped out his memorials, and even removed his body from his tomb. The situation in the U.S. is not much different from that in the U.S.S.R. In fact the present volume represents the first time since 1955 that a major publishing house in either country has authorized the publication of Stalin’s works. U.S. capitalist publishers have printed only Stalin’s wartime diplomatic correspondence and occasional essays, usually much abridged, in anthologies. Meanwhile his enemies and critics are widely published. Since the early 1920s there have been basically two opposing lines claiming to represent Marxism-Leninism, one being Stalin’s and the other Trotsky’s. The works of Trotsky are readily available in many inexpensive editions. And hostile memoirs, such as those of Khrushchev and Svetlana Stalin, are actually serialized in popular magazines. The suppression of Stalin’s writings spreads the notion that he did not write anything worth reading. 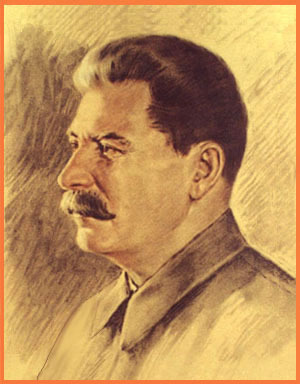 Yet Stalin is clearly one of the three most important historical figures of our century, his thought and deeds still affecting our daily lives, considered by hundreds of millions today as one of the leading political theorists of any time, his very name a strongly emotional household word throughout the world. Anyone familiar with the development of Marxist-Leninist theory in the past half century knows that Stalin was not merely a man of action. Mao names him “the greatest genius of our time,” calls himself Stalin’s disciple, and argues that Stalin’ s theoretical works are still the core of world Communist revolutionary strategy. Gaining access to Stalin’s works is not the hardest part of coming to terms with him. First we must recognize that there can be no “objective” or “neutral” appraisal of Stalin, any more than there can be of any major historical figure during the epochs of class struggle. From the point of view of some classes, George Washington was an arrogant scoundrel and traitor to his country, king, and God, a renegade who brought slaughter and chaos to a continent; Abraham Lincoln was responsible for the deaths of millions and the destruction of a civilized, cultured, harmonious society based on the biblically sanctioned relationship with the black descendants of Ham; Sitting Bull was a murderous savage who stood in the way of the progress of a superior civilization; Eldridge Cleaver, George and Jonathan Jackson, Ruchell Magee and Angela Davis are vicious murderers, while Harry Truman, Nelson Rockefeller, Mayor Daley, John F. Kennedy, and Richard Nixon are rational and patriotic men who use force only when necessary to protect the treasured values of the Free World. Any historical figure must be evaluated from the interests of one class or another. Take J. Edgar Hoover, for example. Anti-Communists may disagree about his performance, but they start from the assumption that the better he did his job of preserving “law and order” as defined by our present rulers the better he was. We Communists, on the other hand, certainly would not think Hoover “better” if he had been more efficient in running the secret police and protecting capitalism. And so the opposite with Stalin, whose job was not to preserve capitalism but to destroy it, not to suppress communism but to advance it. The better he did his job, the worse he is likely to seem to all those who profit from this economic system and the more he will be appreciated by the victims of that system. The Stalin question is quite different for those who share his goals and for those, who oppose them. For the revolutionary people of the world it is literally a life and-death matter to have a scientific estimate of Stalin, because he was, after all, the principal leader of the world revolution for thirty crucial years. I myself have seen Stalin from both sides. Deeply embedded in my consciousness and feelings was that Vision of Stalin as tyrant and butcher. This was part of my over-all view of communism as a slave system, an idea that I was taught in capitalist society. Communist society was not red but a dull-gray world. It was ruled by a secret clique of powerful men. Everybody else worked for these few and kept their mouths shut. Propaganda poured from all the media. The secret police were everywhere, tapping phones, following people on the street, making midnight raids. Anyone who spoke out would lose his job, get thrown in jail, or even get shot by the police. 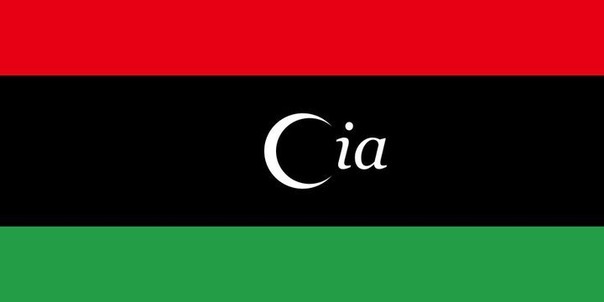 One of the main aims of the government was international aggression, starting wars to conquer other counties. When I began to discover that this entire vision point by point described my own society a number of questions arose in my mind. With this thought came intense feelings that must resemble – what someone in a tribe experiences when violating a taboo. But if we want to understand the world we live in, we must face Stalin. All the achievements and all the failures, all the strengths and all the weaknesses, of the Soviet revolution and indeed of the world revolution in the period 1922-53 are summed up in Stalin. This is not to say that he is personally responsible for all that was and was not accomplished, or that nobody else could have done what he did. We are not dealing with a “great man” theory of history. In fact, quite the opposite. If we are to understand Stalin at all, and evaluate him from the point of view of either of two major opposing classes, we must see him, like all historical figures, as a being created by his times and containing the contradictions of those times. .
Every idea of Stalin’s, as he would be the first to admit, came to him from his historical existence, which also fixed limits to the ideas available to him. He could study history in order to learn from the experience of the Paris Commune but he could not look into a crystal ball to benefit from the lessons of the Chinese Cultural Revolution. And the decisions he made also had fixed and determined limits on either side, as we shall see. To appraise Stalin, the best way to begin is to compare the condition of the Soviet Union and the rest of the world at two times: when he came into leadership and when he died. Without such a comparison, it is impossible to measure what he may have contributed or taken away from human progress. If the condition of the Soviet people was much better when he died than when he took power, he cannot have made their lives worse. The worst that can be said is that they would have progressed more without him. The same is true for the world revolution. Was it set back during the decades of his leadership, or did it advance? Once we put the questions this way, the burden of proof falls on those who deny Stalin’s positive role as a revolutionary leader. 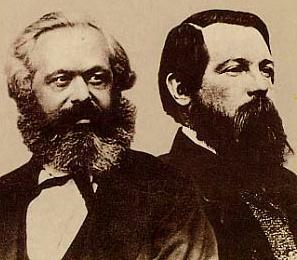 Before the new government could begin to govern, it was Immediately set upon by the landlords, capitalists, and generals of the old regime, with all the forces they could buy and muster, together with combined military forces of Britain, France, Japan, and Poland, and additional military contingents from the U.S. and other capitalist countries. A vicious civil war raged for three years, from Siberia through European Russia, from the White Sea to the Ukraine. At the end of the Civil War, in 1920, agricultural output was less than half that of the prewar poverty-stricken countryside. Even worse was the situation in industry. Lenin suffered his first stroke in 1922. 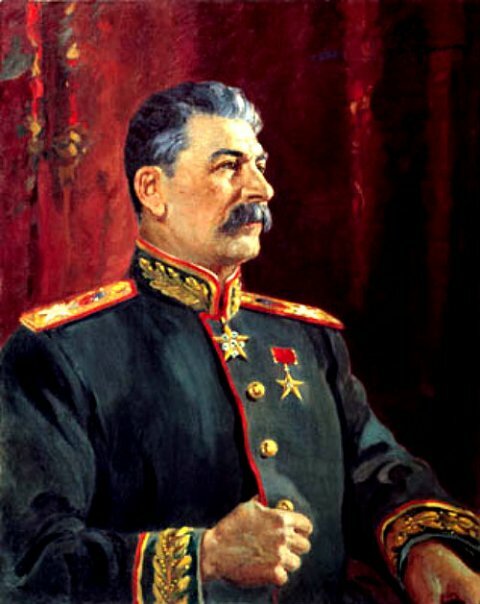 From this point on, Stalin, who was the General Secretary of the Central Committee, began to emerge as the principal leader of the Party. Stalin’s policies were being implemented at least as early as 1924, the year of Lenin’s death, and by 1927 the various opposing factions had been defeated and expelled from the Party. It is the period of the early and mid-1920s that we must compare to 1953. 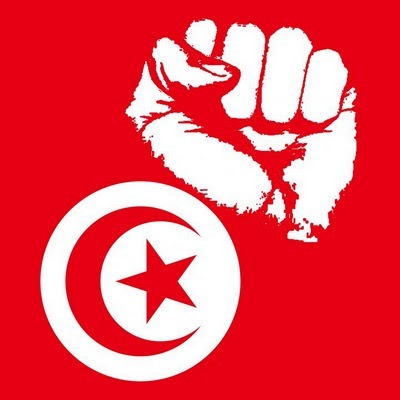 Meanwhile, in the rest of the world, not only had the main fascist powers of 1922-45 been defeated, but the forces of revolution were on the rise everywhere. The Chinese Communist Party had just led one-fourth of the world’s population to victory over foreign imperialism and domestic feudalism and capitalism. Half of Korea was socialist, and the U.S.-British imperialist army, having rushed to intervene in the civil war under the banner of the United Nations was on the defensive and hopelessly demoralized. In Vietnam, strong socialist power, which had already defeated Japanese Imperialism, was administering the final blows to the beaten army of the French empire. 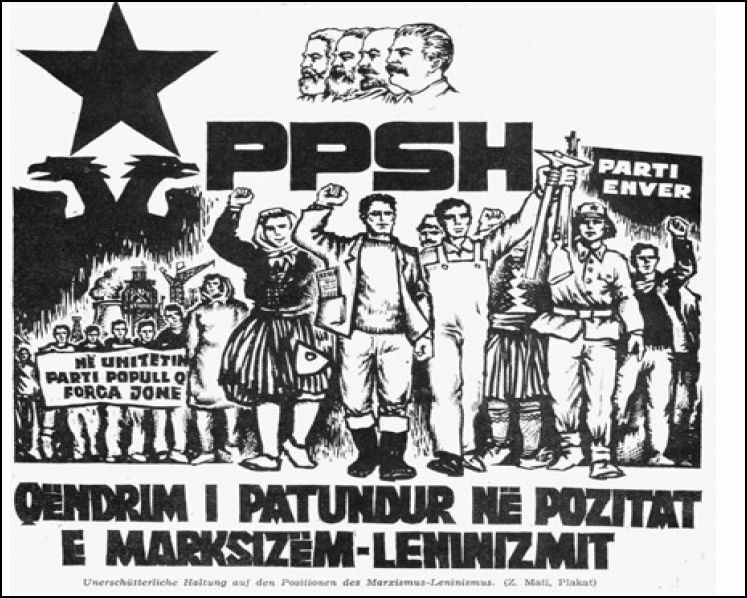 The monarchies and fascist military dictatorships of Eastern Europe had been destroyed by a combination of partisan forces, led by local Communists, and the Soviet Army; everywhere except for Greece there were now governments that supported the world revolution and at least claimed to be governments of the workers and peasants. The largest political party in both France and Italy was the Communist Party. The national liberation movement among the European colonies and neo-colonies was surging forward. Between 1946 and 1949 alone, at least nominal national independence was achieved by Burma, Indonesia, India, Pakistan, Laos, Libya, Ceylon, Jordan, and the Philippines, countries comprising about one-third of the world’s population. The entire continent of Africa was stirring. Everybody but the Trotskyites, and even some of them would have to admit that the situation for the Communist world revolution was incomparably advanced in 1953 over what it had been in the early or mid 1920s. Of course, that does not settle the Stalin question. We still have to ask whether Stalin contributed to this tremendous advance, or slowed it down or had negligible influence on it. And we must not duck the question as to whether Stalin’s theory and practice built such serious faults into revolutionary communism that its later failures, particularly in the Soviet Union, can be pinned on him. “Stalin” which means “steel-man,” was the code name for a Young Georgian revolutionary born as Joseph Visvarionovich Djugashvili in 1879 in the town of Gori. His class origins combine the main forces of the Russian revolution. His father formerly a village cobbler of peasant background, became a’ worker in a shoe factory. His mother was the daughter of peasant serfs. So Stalin was no stranger to either workers or peasants, and being from Georgia, he had firsthand knowledge of how Czarist Russia oppressed the non-Russian peoples of its empire. . While studying at the seminary for a career as a priest, he made his first contact with the Marxist underground at the age of fifteen, and at eighteen he formally joined the Russian Social-Democratic Labor Party, which was to evolve into the Communist Party. Shortly after joining the party in 1898, he became convinced that Lenin was the main theoretical leader of the revolution, particularly when Lenin’s newspaper Iskra began to appear in 1900. After being thrown out of his seminary, Stalin concentrated on organizing workers in the area of Tiflis, capital of Georgia, and the Georgian industrial City of Batumi. After one of his many arrests by the Czarist secret police, he began to correspond with Lenin from exile. Escaping from Siberian exile in 1904, Stalin returned to organizing workers in the cities of Georgia, where mass strikes were beginning to assume a decidedly political and revolutionary character. Here he began to become one of the main spokesmen for Lenin’s theory, as we see in the first two selections in this volume. 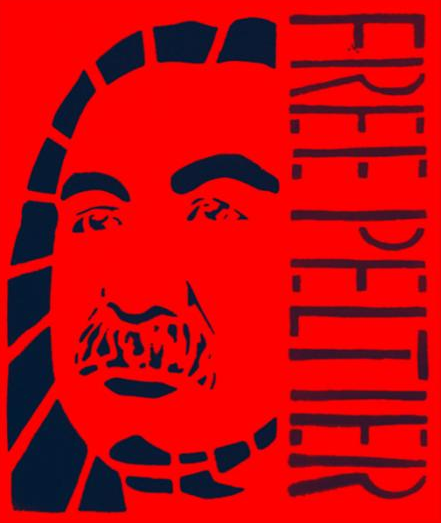 In December 1904 he led a huge strike of the Baku workers, which helped precipitate the abortive Russian revolution of 1905. During the revolution and after it was suppressed, Stalin was one of the main Bolshevik underground and military organizers, and was frequently arrested by the secret police. At the Prague Conference of 1912, in which the Bolsheviks completed the split with the Mensheviks and established themselves as a separate party, Stalin was elected in absentia to the Central Committee, a position he was to maintain for over four decades. Then, on the eve of World War I, he published what may properly be considered his first major contribution to Marxist-Leninist theory, Marxism and the National Question. 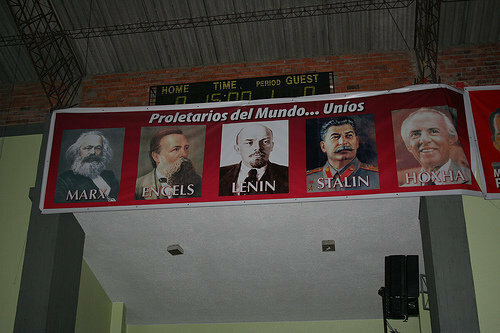 All pledged themselves to international proletarian solidarity. But when the war broke out, the theory Stalin had developed in Marxism and the National Question proved to be crucial and correct. As Stalin had foreseen, every party that had compromised with bourgeois nationalism ended up leading the workers of its nation to support their “own” bourgeois rulers by going out to kill and be killed by the workers of the other nations. 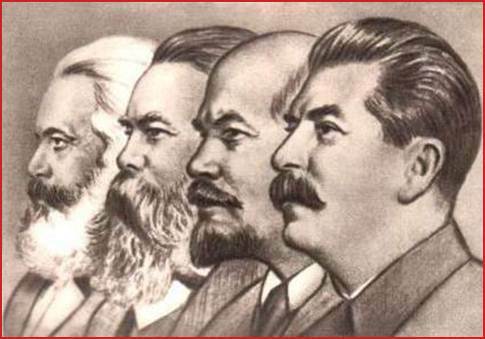 Lenin, Stalin, and the other Bolsheviks took a quite different position. 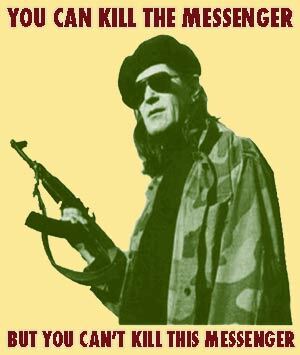 They put forward the slogan “Turn the imperialist war into a civil war.” Alone of all the parties of the Second International, they came out for actual armed revolution. Trotsky was nominally the head of the Red Army. Behaving, as he always did, in the primacy of technique, Trotsky took as one of his main tasks winning over the high officers of the former czarist army and turning them into the general command of the revolutionary army. 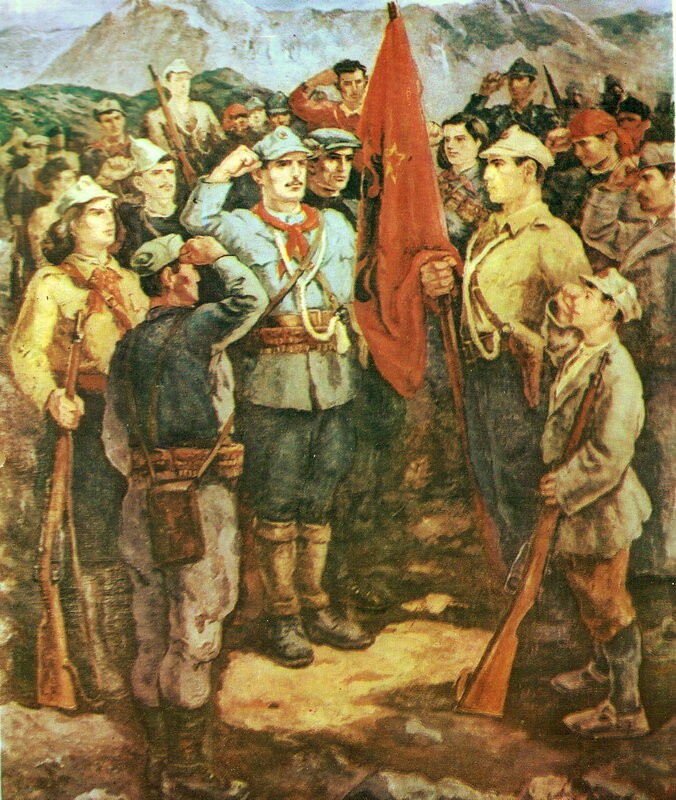 The result was defeat after defeat for the Red forces, either through outright betrayal by their aristocratic officers or because these officers tried to apply military theories appropriate to a conscript or mercenary army to the leadership of a people’s army made up of workers and peasants. Stalin, on the other hand, understood the military situation from the point of view of the workers and peasants, and with a knowledge of their capabilities and limitations. 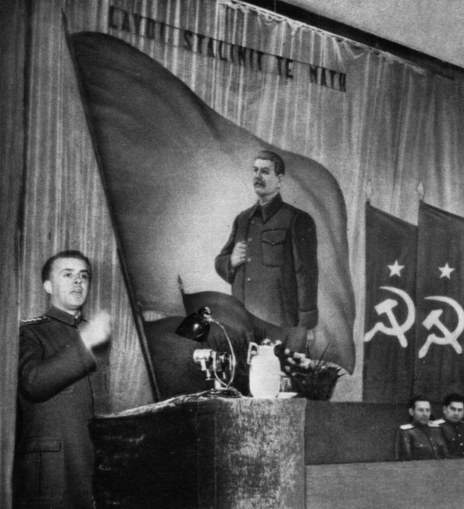 Although there are vastly different views of Stalin’s career up to this point, his activities are relatively less controversial, because they are relatively less important. Whatever Stalin’s contribution, there is still a good chance that even without him Lenin could have led the revolution and the Red forces would have won the Civil War. But, from this point on, there are at least two widely divergent, in fact wildly contradictory, versions of Stalin’s activities and their significance. Most readers of this book have heard only one side of this debate, the side of Trotsky and the capitalist world. I shall not pretend to make a “balanced presentation,” but instead give a summary of the unfamiliar other side of the argument. Everyone, friend and foe alike, would agree that at the heart of the question of Stalin lies the theory and practice of “socialism in one country.” All of Stalin’s major ideological opponents in one way or another took issue with this theory. They belittled the role of the peasantry as an ally of the Russian proletariat and saw very little potential in the national liberation movements of the predominantly peasant countries of Asia, Africa, and Latin America. 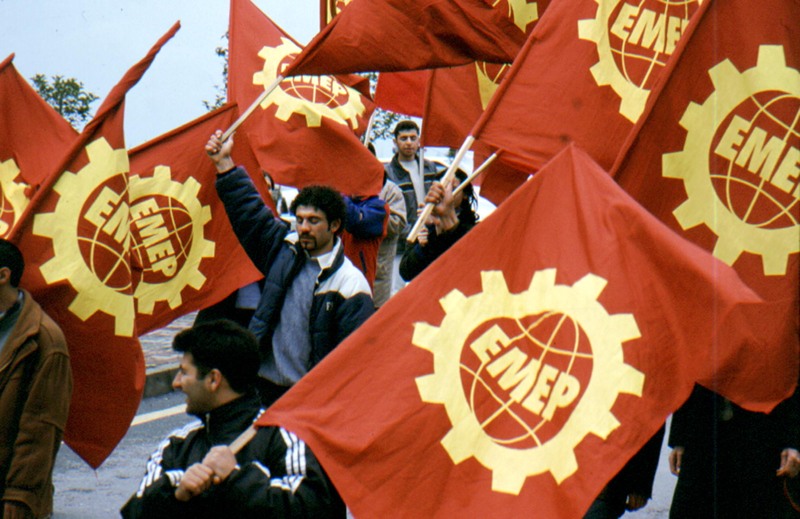 Their so-called “Left opposition” put forward the theory, of “permanent revolution,” which pinned its hopes on an imminent uprising of the industrial proletariat of Europe. They saw the world revolution then spreading outward from these “civilized” countries to the “backward” regions of Asia, Africa, and Latin America. Meanwhile there also developed what was later to be called the “Right opposition,” spearheaded by Bukharin, Zinoviev, and Kamenev. They were realistic enough to recognize that the revolutionary tide was definitely ebbing in Europe, but they concluded from this that the Soviet Union would have to be content to remain for a long time a basically agricultural country without pretending to be a proletarian socialist state. There are two parts to the concept of socialism in one country. Emphasis is usually placed only on the part that says “one country.” Equally important is the idea that only socialism, and not communism, can be achieved prior to the time when the victory of the world revolution has been won. A communist society would have no classes, no money, no scarcity, and no state that is, no army, police force, prisons, and courts. There is no such society in the world, and no society claims to be Communist. A socialist society, according to Marxism-Leninism, is the transitional form on the road to communism. Classes and class struggle still exist, all the material needs of the people have not as yet been met, and there is indeed a state, a government of the working class known as the dictatorship of the proletariat (as opposed to the government of capitalist nations, the dictatorship of the bourgeoisie). Neither Lenin nor Stalin ever had any illusion that any single country, even one as vast and potentially rich as the Soviet Union, would ever be able to establish a stateless, classless society while capitalism still had power in the rest of the world. But Stalin, like Lenin, did believe that the Soviet Union could eliminate capitalism, industrialize, extend the power of the working class, and wipe out real material privation all during the period of capitalist encirclement. To do this, Stalin held, the proletariat would have to rely on the peasantry. He rejected Trotsky’s scorn for the Russian peasants and saw them, rather than the European proletariat, as the only ally that could come to the immediate aid of the Russian workers. When the Civil War ended, in 1921, with most of the Soviet Union in chaotic ruin, Lenin won a struggle against Trotsky within the Party to institute what was called the New Economic Policy (NEP), under which a limited amount of private enterprise based on trade was allowed to develop in both the cities and the countryside. NEP was successful in averting an immediate total catastrophe, but by 1925 it was becoming clear that this policy was also creating problems for the development of socialism. This brings us to the first great crux of the Stalin question. We have been led to believe that in order to industrialize at any price; Stalin pursued a ruthless policy of forced collectivization, deliberately murdering several million peasants known as kulaks during the process. The truth is quite different. When the Bolsheviks seized power, one of their first acts was to allow the poor peasants to seize the huge landed estates. The slogan was “Land to the tiller.” This, however, left most land in the form of tiny holdings, unsuited for large-scale agriculture, particularly the production of the vital grain crops. Under NEP, capitalism and a new form of landlordism began to flourish in the countryside. The class known as kulaks (literally “tight-fists”), consisting of usurers and other small capitalists including village merchants and rich peasants, were cornering the market in the available grain, grabbing more and more small holdings of land, and, through their debt holdings, forcing peasants back into tenant farming and wage labor. Somehow, the small peasant holdings had to be consolidated so that modern agriculture could begin. There were basically two ways this could take place: either through capitalist accumulation, as the kulaks were then doing, or through the development of large-scale socialist farms. If the latter, there was then a further choice: a rapid forced collectivization, or a more gradual process in which co-operative farms would emerge first, followed by collectives, and both would be on a voluntary basis, winning out by example and persuasion. What did Stalin choose? What is the way out? The way out is to turn the small and scattered peasant farms into large united farms based on cultivation of the land in common, to go over to collective cultivation of the land on the basis of a new and higher technique. The way out is to unite the small and dwarf peasant farms gradually but surely, not by pressure, but by example and persuasion, into large farms based on common, cooperative, collective cultivation of the land with the use of agricultural machines and tractors and scientific methods of intensive agriculture. There is no other way out. To implement this policy, the capitalist privileges allowed under NEP were revoked. This was known as the restriction of the kulaks. The kulaks, whose very existence as a class was thus menaced, struck back. They organized terrorist bands who attacked the co-operatives and collectives, burning down barns when they were filled with grain, devastating the fields, and even murdering Communist peasant leaders. 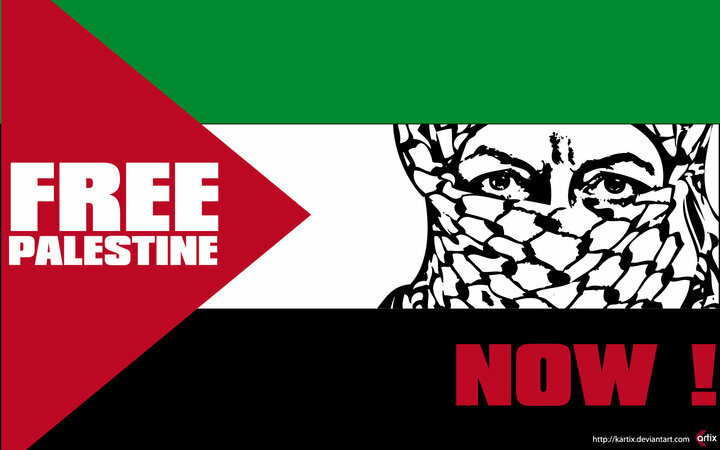 Again, overzealous attempts to push beyond this objectively aid the enemy. 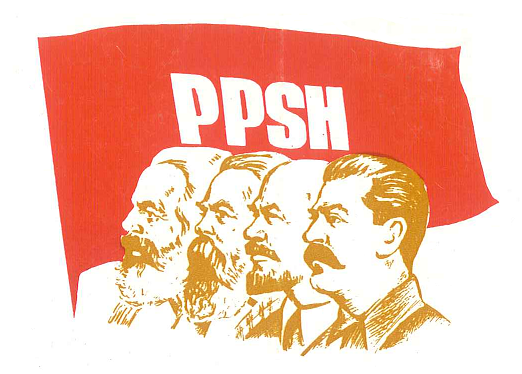 The movement must be based on the needs and desires of the masses of peasants. Stalin’s decision about the kulaks perfectly exemplifies the limits under which he operated. He could decide, as he did, to end the kulaks as a class by allowing the poor and middle peasants’ to expropriate their land. Or he could decide to let the kulaks continue withholding their grain from the starving peasants and workers, with whatever result. He might have continued bribing the kulaks. But it is highly doubtful, to say the least, that he had the option of persuading the kulaks into becoming good socialists. There can be no question that, whatever may be said about its cost, Stalin’s policy in the countryside resulted in a vast, modern agricultural system, capable, for the first time in history, of feeding all the peoples of the Soviet lands. Gone were the famines that seemed as inevitable and were as vicious as those of China before the revolution or of India today. Meanwhile, Stalin’s policy of massive industrialization was going full speed ahead. His great plan for a modern, highly industrialized Soviet Union has been so overwhelmingly successful that we forget that it was adopted only over the bitter opposition of most of the Party leaders, who thought it a utopian and therefore suicidal dream. Having overcome this opposition on both the right and “left,” Stalin in 1929 instituted the first five-year plan in the history of the world. It was quickly over fulfilled. By the early 1930s the Soviet Union had clearly become both the inspiration and the main material base area for the world revolution. And it was soon will prove much more than a match for the next military onslaught from the capitalist powers, which Stalin had predicted and armed against. This brings us to the second great crux of the Stalin question, the “left” criticism, originating with Trotsky and then widely disseminated by the theorists of what used to be called “the New Left.” This criticism holds that Stalin was just a nationalist who sold out revolution throughout the rest of the world. The debate ranges over all the key events of twentieth-century history and can be only touched on in an essay. Stalin’s difference with Trotsky on the peasantry was not confined to the role of the peasantry within the Soviet Union. Trotsky saw very little potential in the national liberation movements in those parts of the world that were still basically peasant societies. 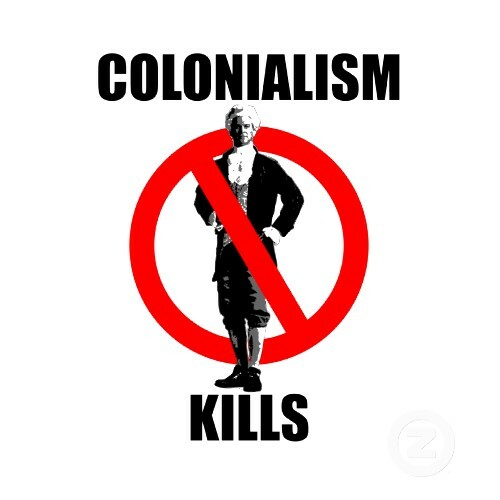 He argued that revolution would come first to the advanced capitalist countries of Europe and North America and would then spread to the “uncivilized” areas of the world. Stalin, on the other hand saw that the national liberation movements of Asia, Africa, and Latin America were key to the development of the world revolution because objectively they were leading the fight against imperialism. We see this argument developed clearly as early as 1924, In “The Foundations of Leninism,” where he argues that “the struggle that the Egyptian merchants and bourgeois intellectuals are waging for the independence of Egypt is objectively a revolutionary struggle, despite the bourgeois origin and bourgeois title of the leaders of the Egyptian national movement, despite the fact that they are opposed to socialism; whereas the struggle that the British ‘Labor’ movement is waging to preserve Egypt’s dependent position is for the same reasons a reactionary struggle, despite the proletarian origins and the proletarian title of the members of hat government, despite the fact that they are ‘for’ socialism. To most European Marxists, this was some kind of barbarian heresy. 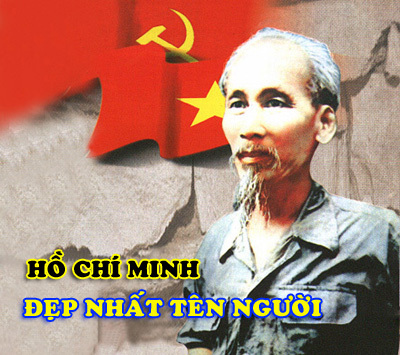 But Ho Chi Minh expressed the view of many Communists from the colonies in that same year, 1924, when he recognized that Stalin was the leader of the only Party that stood with the national liberation struggles and when he agreed with Stalin that the viewpoint of most other so-called Marxists on the national question was nothing short of “counterrevolutionary” (Ho Chi Minh Report on the National and Colonial Questions at the Fifth Congress of the Communist International). The difference between Stalin’s line and Trotsky’s line and the falsification of what Stalin’s line was, can be seen most clearly on the question of the Chinese revolution. The typical “left” view prevalent today is represented in David Horowitz’s The Free World Colossus (1965), which asserts “Stalin’s continued blindness to the character and potential of the Chinese Revolution.” Using as his main source a Yugoslav biography of Tito, Horowitz blandly declares: “Even after the war, when it was clear to most observers that Chiang was finished, Stalin did not think much of the prospects of Chinese Communism” (p. Ill). Rallied around him, we constantly received advice from him, constantly drew ideological strength from his works…. It is common knowledge that Comrade Stalin ardently loved the Chinese people and considered that the forces of the Chinese revolution were immeasurable. In fact, as his 1927 essay on China included in this collection shows, Stalin very early outlined the basic theory of the Chinese revolution. Trotsky attacks this theory, which he sneers at as “guerrilla adventure,” because it is not based on the cities as the revolutionary centers, because it relies on class allies of the proletariat, particularly the peasantry, and because it is primarily anti-feudal and anti-imperialist rather than focused primarily against Chinese capitalism. After 1927, when the first liberated base areas were established in the countryside, Trotsky claimed that this revolution could no longer be seen as proletarian but as a mere peasant rebellion, and soon he began to refer to its guiding theory as the Stalin-Mao line. 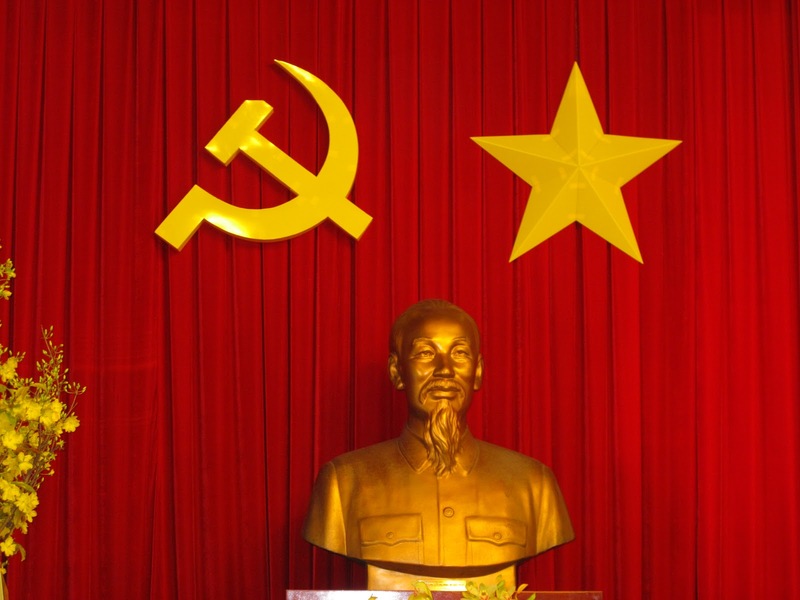 To this day, Trotskyites around the world deride the Chinese revolution as a mere “Stalinist bureaucracy.” The Chinese themselves do acknowledge that at certain points Stalin gave some incorrect tactical advice, but they are quick to add that he always recognized and corrected these errors and was self-critical about them. They are very firm in their belief that they could not have made their revolution without his general theory, his over-all leadership of the world revolutionary movement, and the firm rear area and base of material support he provided. Thus the only really valid major criticism comes from anti-Communists, because without Stalin, at least according to the Chinese, the Communists would not have won. 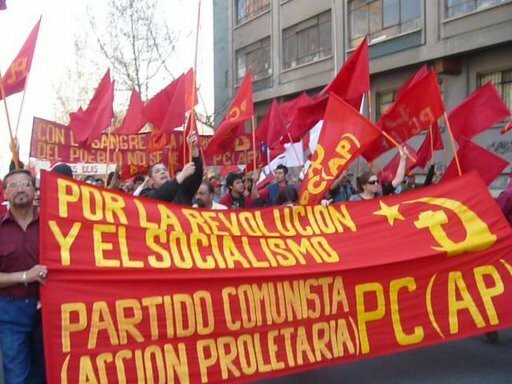 Stalin’s role in the Spanish Civil War likewise comes under fire from the “left.” Again taking their cue from Trotsky and such professional anti-Communist ideologues as George Orwell, many “socialists” claim that Stalin sold out the Loyalists. A similar criticism is made about Stalin’s policies in relation to the Greek partisans in the late 1940s, which we will discuss later. According to these “left” criticisms, Stalin didn’t “care” about either of these struggles, because of his preoccupation with internal development and “Great Russian power.” The simple fact of the matter is that in both cases Stalin was the only national leader anyplace in the world to support the popular forces, and he did this in the face of stubborn opposition within his own camp and the dangers of military attack from the leading aggressive powers in the world (Germany and Italy in the late 1930s, the U.S. ten years later). Because the U.S.S.R., following Stalin’s policies, had become a modem industrial nation by the mid-1930s, it was able to ship to the Spanish Loyalists Soviet tanks and planes that were every bit as advanced as the Nazi models. 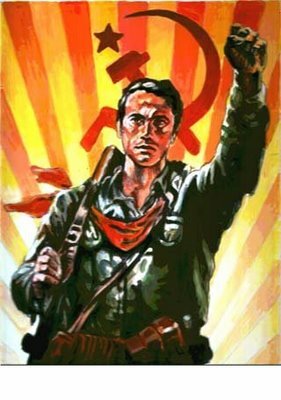 Because the U.S.S.R. was the leader of the world revolutionary forces, Communists from many nations were able to organize the International Brigades, which went to resist Mussolini’s fascist divisions and the crack Nazi forces, such as the Condor Legion, that were invading the Spanish Republic. The capitalist powers, alarmed by this international support for the Loyalists, planned joint action to stop it. In March 1937, warships of Germany, Italy, France, and Great Britain began jointly policing the Spanish coast. Acting on a British initiative, these same countries formed a bloc in late 1937 to isolate the Soviet Union by implementing a policy they called “non-intervention,” which Lloyd George, as leader of the British Opposition, labeled a clear policy of support for the fascists. Mussolini supported the British plan and called for a’ campaign “to drive Bolshevism from Europe.” Stalin’s own foreign ministry, which was still dominated by aristocrats masquerading as proletarian revolutionaries, sided with the capitalist powers. The New York Times of October 29, 1937, describes how the “unyielding” Stalin, representing “Russian stubbornness,” refused to go along: “A struggle has been going on all this week between Joseph Stalin and Foreign Commissar Maxim Litvinoff,” who wished to accept the British plan. 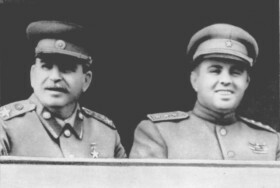 Stalin stuck to his guns, and the Soviet Union refused to grant Franco international status as a combatant, insisting that it had every right in the world to continue aiding the duly elected government of Spain, which it did until the bitter end. The Spanish Civil War was just one part of the world-wide imperialist aims of the Axis powers. Japan was pushing ahead in its conquest of Asia. Japanese forces overran Manchuria in 1931; only nine years after the Red Army had driven them out of Siberia, and then invaded China on a full-scale. Ethiopia fell to Italy in 1936. A few months later, Germany and Japan signed an anti-Comintern pact, which was joined by Italy in 1937. In 1938, Germany invaded Austria. Hitler, who had come to power on a promise to rid Germany and the world of the Red menace, was now almost prepared to launch his decisive strike against the Soviet Union. The other major capitalist powers surveyed the scene with mixed feelings. On one hand, they would have liked nothing better than to see the Communist threat ended once and for all, particularly with the dirty work being done by the fascist nations. On the other hand, they had to recognize that fascism was then the ideology of the have-not imperialists, upstarts whose global aims included a challenge to the hegemony of France, Britain, and the United States. Should they move now to check these expansionists’ aims or should they let them develop unchecked, hoping that they would move against the Soviet Union rather than Western Europe and the European colonies in Asia and Africa? In 1938 they found the answer, a better course than either of these two alternatives. 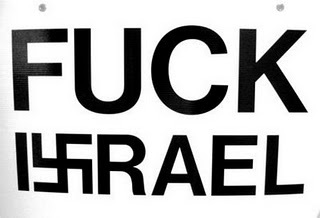 They would appease Hitler by giving him the Sudetenland of Czechoslovakia. This would not only dissuade the Nazis from attacking their fellow capitalists to the west, but it would also remove the last physical barriers to the east, the mountains of the Czech Sudetenland. All logic indicated to them that they had thus gently but firmly turned the Nazis eastward, and even given them a little shove in that direction. Now all they had to do was to wait, and, after the fascist powers and the Soviet Union had devastated each other, they might even be able to pick up the pieces. So they hailed the Munich agreement of September 30, 1938, as the guarantee of “Peace in our time”-for them. Stalin had offered to defend Czechoslovakia militarily against the Nazis if anyone of the European capitalist countries would unite with the Soviet Union in this effort. The British and the French had evaded what they considered this trap, refusing to allow the Soviet Union even to participate at Munich. They now stepped back and waited, self-satisfied, to watch the Reds destroyed. It seemed they didn’t have long to wait. Within a few months, Germany seized all of Czechoslovakia, giving some pieces of the fallen republic to its allies Poland and Hungary. By mid-March 1939 the Nazis had occupied Bohemia and Moravia, the Hungarians had seized Carpatho-Ukraine, and Germany had formally annexed Memel. At the end of that month, Madrid fell and all of Spain surrendered to the fascists. On May 7, Germany and Italy announced a formal military and political alliance. The stage was set for the destruction of the Soviet Union. Four days later, on May 11, 1939, the first attack came. (5) most important of all, it destroyed the Anglo-French strategy of encouraging a war between the Axis powers and the Soviet Union while they enjoyed neutrality; World War II was to begin as a war between the Axis powers and the other capitalist nations, and the Soviet Union, if forced into it, was not going to have to fight alone against the combined fascist powers. The worldwide defeat of the fascist Axis was in part a product of Stalin’s diplomatic strategy, as well as his later military strategy. But before we get to that, we have to go back in time to the events for which Stalin has been most damned-the purge, trials. Most readers of this book have been taught that the major defendants in these trials were innocent, and that here we see most clearly Stalin’s vicious cruelty and paranoia. This is certainly not the place to sift through all the evidence and retry the major defendants, but we must recognize that there is a directly contradictory view of the trials and that there is plenty of evidence to support that view. For ten years I have worked alongside some of the many recently shot, imprisoned or exiled in Russia as wreckers. Some of my friends have asked me whether or not I believe these men and women are guilty as charged. I have not hesitated a moment in replying that I believe most of them are guilty. 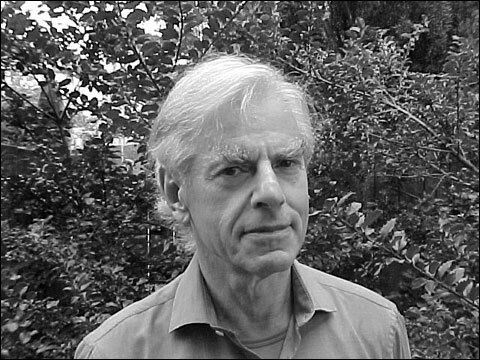 Davies himself admits to being puzzled and confused at the time because of the vast scope of the conspiracy and its concentration high into the Soviet government. It is only later, after the Nazi invasion of the Soviet Union, in the summer of 1941, that Davies feels he understands what he actually occurred. Thinking over these things, there came a flash in my mind of a possible new significance to some of the things that happened in Russia when I was there. As I ruminated over this situation, I suddenly saw the picture as I should have seen it at the time. The story had been told in the so-called treason or purge trials of 1937 and 1938 which I had attended and listened to. In reexamining the record of these cases and also what I had written at the time from this new angle, I found that practically every device of German Fifth Columnist activity, as we now know it, was disclosed and laid bare by the confessions and testimony elicited at these trials of self-confessed “Quislings” in Russia. It was clear that the Soviet government believed that these activities existed, was thoroughly alarmed, and had proceeded to crush them vigorously. By 1941, when the German invasion came, they had wiped out any Fifth Column which had been organized. In 1956, at the Twentieth Party Congress, when Khrushchev launched his famous attack on Stalin, he dredged up all the denunciations of the purge trials circulated for two decades by the Trotskyite and capitalist press. He called Stalin a “murderer,” a “criminal,” a “bandit,” a “despot,” etc. Our Party will mercilessly crush the band of traitors and betrayers, and wipe out all the Trotskyist-Right dregs. . . .We shall totally annihilate the enemies-to the last man and scatter their ashes to the winds. We have annihilated a considerable number of enemies, but still not all. Therefore, it is necessary to keep our eyes open. We should bear firmly in mind the words of Comrade Stalin, that as long as capitalist encirclement exists, spies and saboteurs will be smuggled into our country. That is one reason why many of those tried and convicted in the last trials were high officials from the secret police, the very people guilty of forcing false confessions. There are certainly good grounds for criticizing both the conduct and the extent of the purge. But that criticism must begin by facing the facts that an anti-Soviet conspiracy did exist within the Party, that it had some ties with the Nazis, who were indeed preparing to invade the country, and that one result of the purge was that the ‘Soviet Union was the only country in all of Europe that, when invaded by the Nazis, did not have an active Fifth Column. It must also recognize that capitalism has since been restored in the Soviet Union, on the initiative of leading members of the Party bureaucracy, and so it is hardly fantastical or merely paranoid to think that such a thing was possible. The key question about the purges is whether there was a better way to prevent either a Nazi victory or the restoration of capitalism. 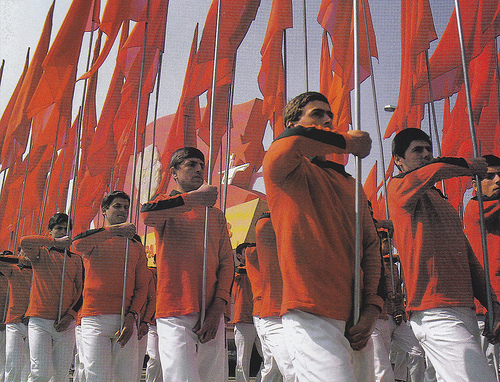 And the answer to that question probably lies in the Chinese Cultural Revolution of 1966-67. Instead of relying on courts and police exiles and executions, the Chinese mobilized hundreds of ‘millions of people to exposé and defeat the emerging Party bureaucracy that was quietly restoring capitalism and actively collaborating with the great imperialist power to the north. But while doing this, they carefully studied Stalin, both for his achievements and for what he was unable to do. For Stalin himself had seen as early as 1928 the need to mobilize mass criticism from below to overcome the rapidly developing Soviet bureaucracy. It is also possible that the two goals the purges tuned to meet were mutually exclusive. That is, the emergency measures necessary to secure the country against foreign invasion may actually have helped the bureaucracy to consolidate its power. In any event, when the Nazis and their allies did invade they met the most united and fierce resistance encountered by the fascist forces anyplace in the world. Everywhere the people were dedicated to socialism. Even in the Ukraine where the Nazis tried to foment old grievances and anti-Russian nationalism, they never dared meddle with the collective farms. In fact, Stalin’s military strategy in World War II like his strategy during the Russian Civil War was based firmly on the loyalty of the masses of workers, peasants, and soldiers. Nazi military strategy was based on the blitzkrieg (lightning war). Spearheaded by highly mobile armor, their way paved by massive air assaults, the Nazi army would break through any static line at a single point, and then spread out rapidly behind that line, cutting off its supplies and then encircling the troops at the front. On April 9, 1940, the Nazis, vastly outnumbered, opened their assault on the combined forces of Denmark, Norway, Belgium, the Netherlands, France, and Great Britain. By June 4, virtually the last of these fighting forces had been evacuated in panic from Dunkirk and each of the continental countries lay under a fascist power, the victim of blitzkrieg combined with internal betrayal. Having secured his entire western front, and then with air power alone having put the great maritime power Britain into a purely defensive position, Hitler could now move his crack armies and his entire air force into position to annihilate the Soviet Union. The first step was to consolidate Axis control in Eastern Europe and the Balkans. 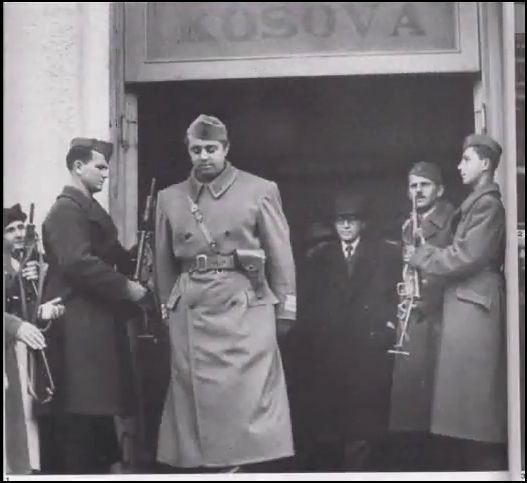 Hungary, Bulgaria, and Romania were already fascist allies. 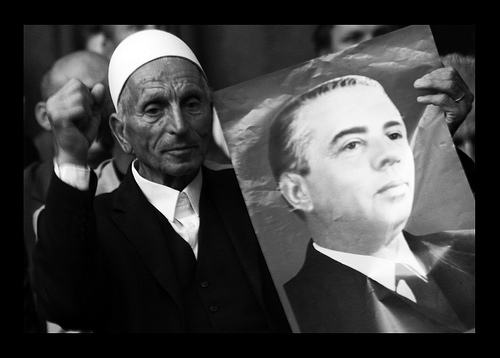 Italy had overrun Albania. 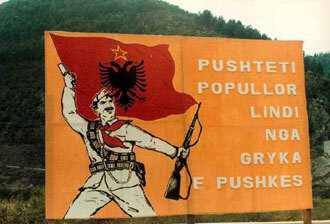 By early April 1941 Greece and Yugoslavia were occupied. Crete was seized in May. On June 22, the greatest invasion of all time was hurled at the Soviet heartland. One hundred seventy-nine German divisions, twenty-two Romanian divisions, fourteen Finnish divisions, thirteen Hungarian divisions, ten Italian divisions, one Slovak division, and one Spanish division, a total of well over three million troops, the best armed and most experienced in the world, attacked along a 2,000-mile front, aiming their spearheads directly at Leningrad, Moscow, and Stalingrad. 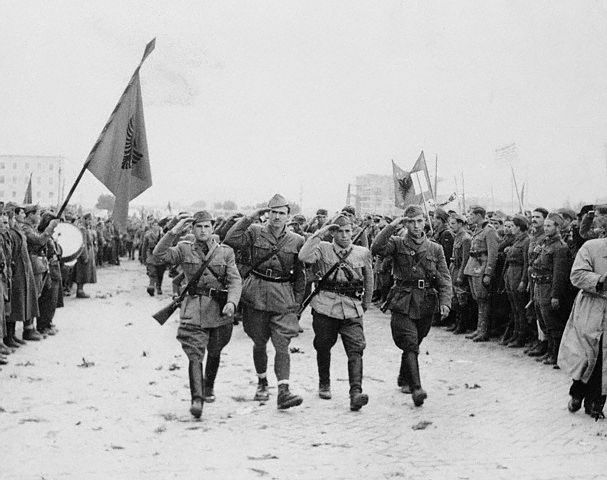 Instead of holding a line, the Red Army beat an orderly retreat, giving up space for time. Behind them they left nothing but scorched earth and bands of guerrilla fighters, constantly harassing the lengthening fascist supply lines. Before the invaders reached industrial centers such as Kharkov and Smolensk, the workers of these cities disassembled their machines and carried them beyond the Ural Mountains, where production of advanced Soviet tanks, planes, and artillery was to continue throughout the war. The main blow was aimed directly at the capital, Moscow, whose outskirts were reached by late fall. Almost all the government offices had been evacuated to the east. 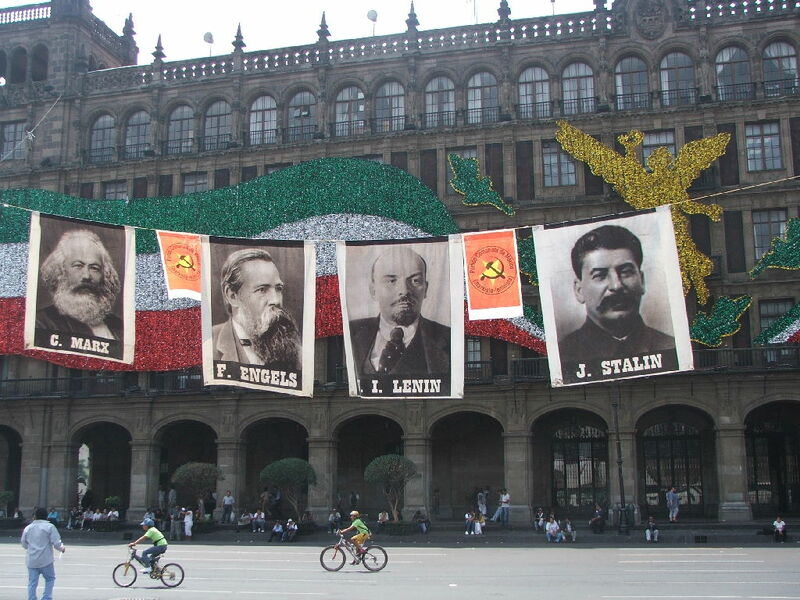 But Stalin remained in the capital, where he assumed personal command of the war. On December 2, 1941, the Nazis were stopped in the suburbs of Moscow. On December 6, Stalin ordered the first major counterattack to occur in World War II. The following day, Japan, which had wisely decided against renewing their invasion of the Soviet Union, attacked Pearl Harbor. From December until May the Red Army moved forward, using a strategy devised by Stalin. Instead of confronting the elite Nazi corps head on, the Red forces would divide into smaller units and then move to cut off the fascist supply lines, thus encircling and capturing the spearheads of the blitzkrieg. This was the ideal counterstrategy, but it depended on a high level of political loyalty, consciousness, and independence on the part of these small units. No capitalist army could implement this strategy. By the end of May 1942 Moscow was safe and the fascist forces had given ground in the Ukraine. In the early summer, the Nazi forces, heavily reinforced, moved to seize Stalingrad and the Caucasus, thus cutting the Soviet Union in two. The greatest and perhaps the most decisive battle in history was now to take place. The siege of Stalingrad lasted from August 1942 until February 1943. As early as September, the Nazi forces, which were almost as large as the entire U.S. force at its peak in Vietnam, penetrated the city and were stopped only by house-to-house fighting. But unknown to the Germans, because Soviet security was perfect, they were actually in a vast trap, personally designed by Stalin: A gigantic pincers movement had begun as soon as the fascist forces reached the city. In late November the two Soviet forces met and the trap snapped shut. From this trap 330,000 elite Nazi troops were never to emerge. In February 1943 the remnants, about 100,000 troops, surrendered. The back of Nazi military power had been broken. The Red Army now moved onto a vast offensive which was not to stop before it had liberated all of Eastern and Central Europe and seized Berlin, the capital of the Nazi empire, in the spring of 1945. 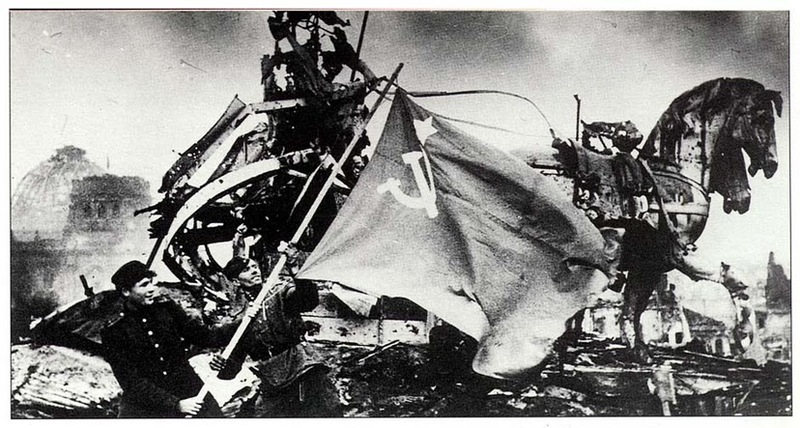 It was the Soviet Union that had beaten the fascist army. The second front, which Great Britain and the U.S. had promised as early as 1942, was not to materialize until June 14, after it was clear that the Nazis had already been decisively defeated. In fact, the Anglo-American invasion was aimed more at stopping communism than defeating fascism. (This invasion took place during the same period that the British Army “liberated” Greece, which had already been liberated by the Communist-led Resistance.) For under Communist leadership, underground resistance movements, based primarily on the working class, had developed throughout Europe. Because the Communists, both from the Soviet Union and within the other European nations, were the leaders of the entire anti-fascist struggle, by the end of the war they had by far the largest parties in all the nations of Eastern and Central Europe, as well as Italy and France, where the fascists’ power had been broken more by internal resistance than by the much-heralded Allied invasion. In fact, it is likely that if the Anglo-American forces had not invaded and occupied Italy and France, within a relatively short time the Communists would have been in power in both countries. As soon as victory in Germany was assured, in May 1945, much of the Soviet Army began to make the 5,000-mile journey to face the Japanese Army. At Potsdam, July 17 to August 2, Stalin formally agreed to begin combat operations against Japan by August 8. 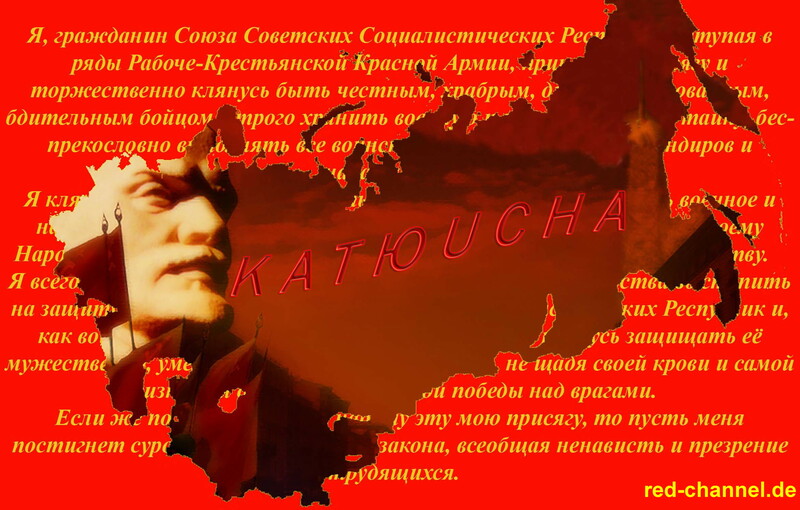 On August 6, the U.S. dropped the first atomic bomb on Japan, in what is now widely considered the opening shot of the so-called “Cold War” against the U.S.S.R. On August 8, the Red Army engaged the main Japanese force, which was occupying Manchuria. 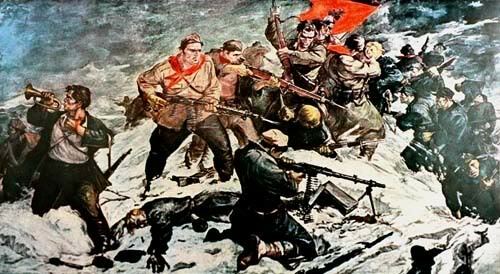 The Soviet Army swept forward, capturing Manchuria, the southern half of Sakhalin Island, and the Kuriles, and liberating, by agreement, the northern half of Korea. Except for the Chinese Communist battles with the Japanese, these Soviet victories were probably the largest land engagements in the entire war against Japan. 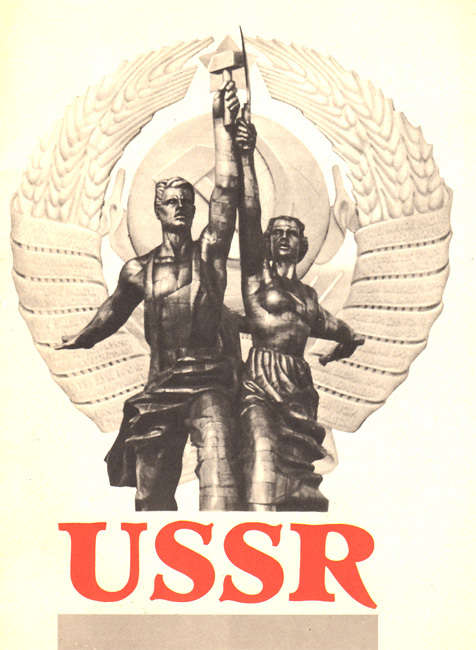 The Soviet Union had also suffered tremendously while taking the brunt of the fascist onslaught. 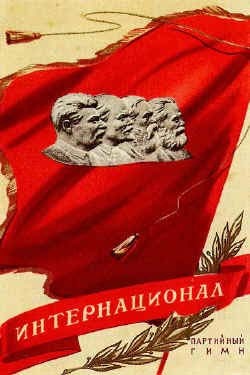 Between twenty and twenty-five million Soviet citizens gave their lives in defense of their country and socialism. The industrial heartland lay in ruins. The richest agricultural regions had been devastated. In addition to the seizure of many cities and the destruction of much of Moscow and Stalingrad, there was the desperate condition of Leningrad, which had withstood a massive, two-year Nazi siege. Once again, the Soviet Union was to perform economic miracles. Between 1945 and 1950 they were to rebuild not only everything destroyed in the war, but vast new industries and agricultural resources. And all this was conducted under the threat of a new attack by the capitalist powers, led by the nuclear blackmail of the U.S., which opened up a worldwide “Cold War” against communism. Spearheaded by British and rearmed Japanese troops, the French restored their empire in Indochina. U.S. troops occupied the southern half of Korea and established military bases throughout the Pacific. Europe itself became a vast base area for the rapidly expanding U.S. empire, which, despite its very minimal role in the war (or perhaps because of it), was to gain the greatest profit from it. One European showdown against the popular forces occurred in Greece. Here we meet another “left” criticism of Stalin, similar to that made about his role in Spain but even further removed from the facts of the matter. 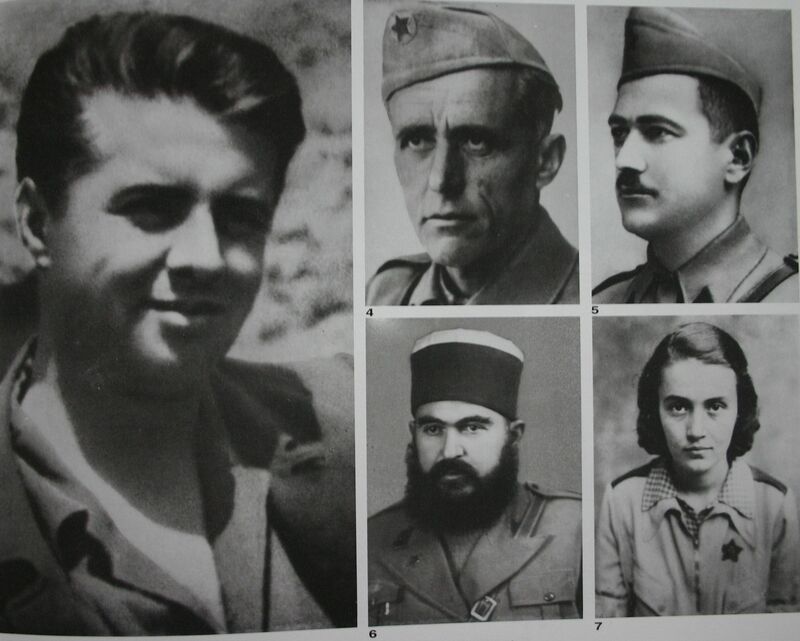 As in the rest of Eastern Europe and the Balkans, the Communists had led and armed the heroic Greek underground and partisan fighters. In 1944 the British sent an expeditionary force commanded by General Scobie to land in Greece, ostensibly to aid in the disarming of the defeated Nazi and Italian troops. 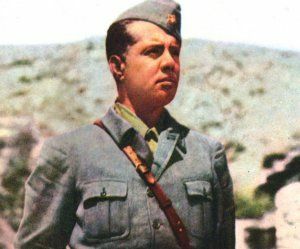 As unsuspecting as the comrades in Vietnam and Korea who were to be likewise ‘assisted’, the Greek partisans were slaughtered by their British allies who used tanks and planes in an all-out offensive, which ended in February 1945 with the establishment of a right-wing dictatorship under a restored monarchy. The British even rearmed and used the defeated Nazi “Security Battalions.” After partially recovering from this treachery, the partisan forces rebuilt then guerrilla apparatus and prepared to resist the combined forces of Greek fascism and Anglo-American imperialism. By late 1948 full-scale civil war raged, with the right-wing forces backed up by the intervention of U.S. planes, artillery, and troops. 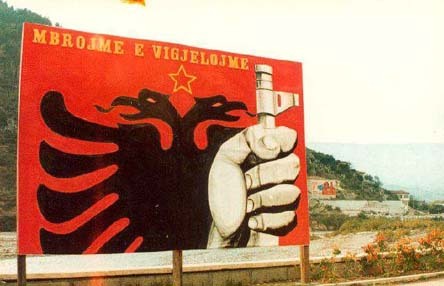 The Greek resistance had its back broken by another betrayal not at all by Stalin but by Tito, who closed the Yugoslav borders to the Soviet military supplies that were already hard put to reach the landlocked popular forces. This was one of the two main reasons why Stalin, together with the Chinese, led the successful fight to have the Yugoslav “Communist” Party officially thrown out of the international Communist movement. Stalin understood very early the danger to the world revolution posed by Tito’s ideology, which served as a Trojan horse for U.S. Imperialism. He also saw that Tito’s revisionist ideas, including the development of a new bureaucratic ruling elite, were making serious headway inside the Soviet Union. In 1950, the miraculous postwar reconstruction was virtually complete, and the victorious Chinese revolution had decisively broken through the global anti-Communist encirclement and suppression campaign. At this point Stalin began to turn his attention to the most serious threat to the world revolution, the bureaucratic-technocratic class that had not only emerged inside the Soviet Union but had begun to pose a serious challenge to the leadership of the working class. In the last few years of his life, Joseph Stalin, whom the present rulers of the U.S.S.R. would like to paint as a mad recluse, began to open up a vigorous cultural offensive against the power of this new elite. 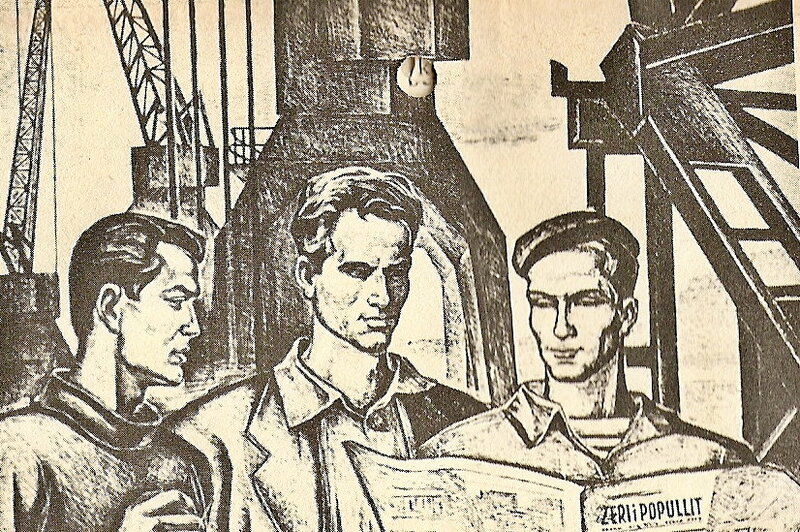 “Marxism and Linguistics” and “Economic Problems of Socialism in the U.S.S.R.” are milestones in this offensive, major theoretical works aimed at the new bourgeois authorities beginning to dominate various areas of Soviet thought. In “Economic Problems of Socialism in the U.S.S.R.,” published a few months before his death and intended to serve as a basis for discussion in the Nineteenth Party Congress of 1952, Stalin seeks to measure scientifically how far the Soviet Union had come in the development of socialism and how far it had to go to achieve communism. He criticizes two extreme tendencies in Soviet political economy: mechanical determinism and voluntarism. He sets this criticism within an international context where, he explains, the sharpening of contradictions among the capitalist nations is inevitable. Stalin points out that those who think that objective laws, whether of socialist or capitalist political economy, can be abolished by will are dreamers. But he reserves his real scorn for those who make the opposite error, the technocrats who assert that socialism is merely a mechanical achievement of a certain level of technology and productivity, forgetting both the needs and the power of the people. He shows that when these technocrats cause “the disappearance of man as the aim of socialist production,” they arrive at the triumph of bourgeois ideology. These proved to be prophetic words. In his final public speech, made to that Nineteenth Party Congress in 1952, Stalin explains a correct revolutionary line for the parties that have not yet led their revolutions. The victories of the world revolution have constricted the capitalist world, causing the decay of the imperialist powers. Therefore the bourgeoisie of the Western democracies inherit the banners of the defeated fascist powers, with whom they establish a world-wide alliance while turning to fascism at home and the would-be bourgeoisie of the neocolonial nations become merely their puppets. Communists then become the main defenders of the freedoms and progressive principles established by the bourgeoisie when they were a revolutionary class and defended by them until the era of their decay. 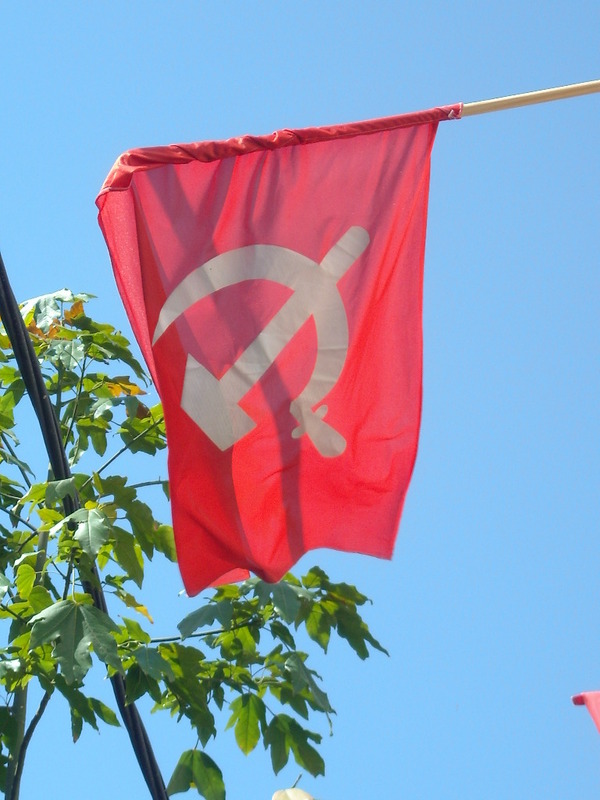 Communists will lead the majority of people in their respective nations only when they raise and defend the very banners thrown overboard by the bourgeoisie-national independence and democratic freedoms. It is no Surprise that these final words of Stalin have been known only to the Cold War “experts” and have been expunged throughout the Soviet Union and the nations of Eastern Europe. A few months after this speech, Stalin died. Very abruptly, the tide of revolution was temporarily reversed. Stalin’s death came in early March 1953. By that July, the new leaders of the Soviet Union forced the Korean people to accept a division of their nation and a permanent occupation of the southern half by US forces. 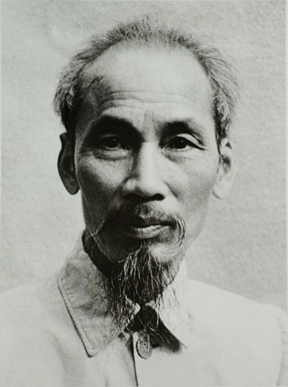 A year later, they forced the victorious Viet Minh liberation army, which had thoroughly defeated the French despite massive U.S. aid, to withdraw from the entire southern half of that country, while the U.S. proclaimed that its faithful puppet, Ngo Dinh Diem, was now president of the fictitious nation of South Vietnam. When the Chinese resisted their global sellouts of the revolution, these new Soviet leaders first tried to destroy the Chinese economy, then tried to overthrow the government from within and when that failed, actually began aimed incursions by Russian troops under a policy of nuclear blackmail copied from the U.S. In Indonesia, the Soviet Union poured ammunition and spare parts into the right-wing military forces while they were massacring half a million Communists, workers, and peasants. And so on, around the world. Meanwhile, internally, they restored capitalism as rapidly as they could. By the mid-1960s, unemployment had appeared in the Soviet Union for the first time since the first Five Year Plan. By the end of the 1960s, deals had been made with German, Italian, and Japanese capitalism for the exploitation of Soviet labor and vast Soviet resources. From an anti-Communist point of view, Stalin was certainly one of the great villains of history. 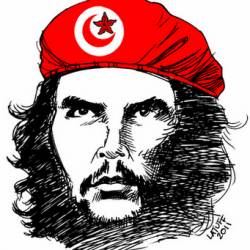 While he lived, the Red forces consolidated their power in one country and then led what seemed to be an irresistible world-wide revolutionary upsurge. By the time he died, near hysteria reigned in the citadels of capitalism. In Washington, frenzied witch hunts tried to ferret out the Red menace that was supposedly about to seize control of the last great bastion of capitalism. All this changed, for the time being, after Stalin’s death, when the counterrevolutionary forces were able to seize control even within the Soviet Union. From a Communist point of view, Stalin was certainly one of the greatest of revolutionary leaders. But still we must ask why it was that the Soviet Union could fall so quickly to a new capitalist class. For Communists, it is as vital to understand Stalin’s weaknesses and errors as it is to understand his historic achievements. Stalin’s main theoretical and practical error lay in underestimating the bourgeois forces within the superstructure of Soviet society. It is ridiculous to pose the problem the way we customarily hear it posed: that the seeds of capitalist restoration were sown under Stalin. This assumes that the Soviet garden was a Communist paradise, totally free of weeds, which then somehow dropped in from the skies. Socialism, as Stalin saw more keenly than anybody before, is merely a transitional stage on the way to communism. It begins with the conquest of political power by the working class, but that is only a bare beginning. Next comes the much more difficult task of establishing socialist economic forms, including a high level of productivity based on collective labor. 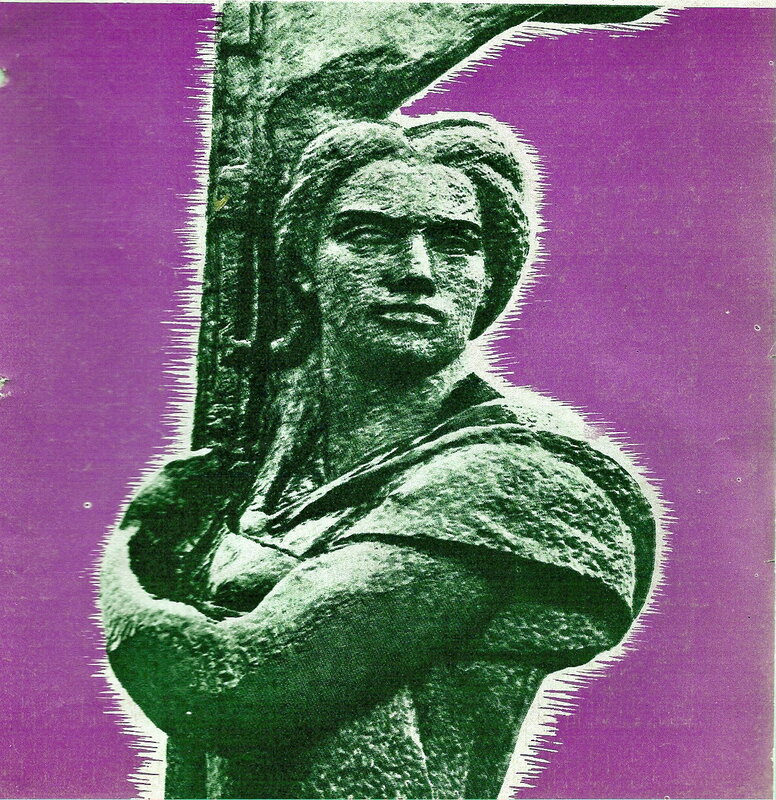 Most difficult of all is the cultural revolution, in which socialist ideas and attitudes, based on collective labor and the political power of the working people, overthrow the bourgeois world view, based on competition, ambition, and the quest for personal profit and power and portraying “human nature” as corrupt, vicious, and selfish, that is, as the mirror image of bourgeois man. Stalin succeeded brilliantly in carrying through the political and economic revolutions. That he failed in consolidating the Cultural Revolution under the existing internal and external conditions can hardly be blamed entirely on him. He certainly saw the need for it, particularly when the time seemed most ripe to make it a primary goal, in the 1950s. But it must be admitted that he underestimated the threat posed by the new intelligentsia, as we see most strikingly in the “Report to the Eighteenth Party Congress,” where he unstintingly praises them and denies that they could constitute a new social class. This error in theory led to an error in practice in which, despite his earlier calls for organizing mass criticism from below, he tended to rely on one section of the bureaucracy to check or defeat another. He was unwilling to unleash a real mass movement like the Chinese Cultural Revolution, and, as a result, the masses were made increasingly less capable of carrying out such a gigantic task. All this is easy to say in hindsight, now that we have the advantage of having witnessed the Chinese success, which may prove to be the most important single event in human history. But who would have had the audacity to recommend such a course in the face of the Nazi threat of the late 1930s or the U.S. threat after World War II, when the Soviet Union lay in ruins? In 1967, when the Chinese Cultural Revolution was at its height and the country was apparently in chaos, many revolutionaries around the world were dismayed. Certainly, they acknowledged, China had to have a cultural revolution. But not at that moment, when the Vietnamese absolutely needed that firm rear base area and when U.S. imperialism was apparently looking for any opening to smash China. And so it must have looked to Stalin, who postponed the Soviet Cultural Revolution until it was too late. It is true that socialism in the Soviet Union has been reversed. But Stalin must be held primarily responsible not for its failure to achieve communism but rather for its getting as far along the road as it did. It went much further than the “left” and the right Opposition, the capitalists, and almost everybody in the world thought possible. It went far enough to pass the baton to a fresher runner, the workers and peasants of China, who, studying and emulating Stalin, have already gone even further, as we are beginning to see. 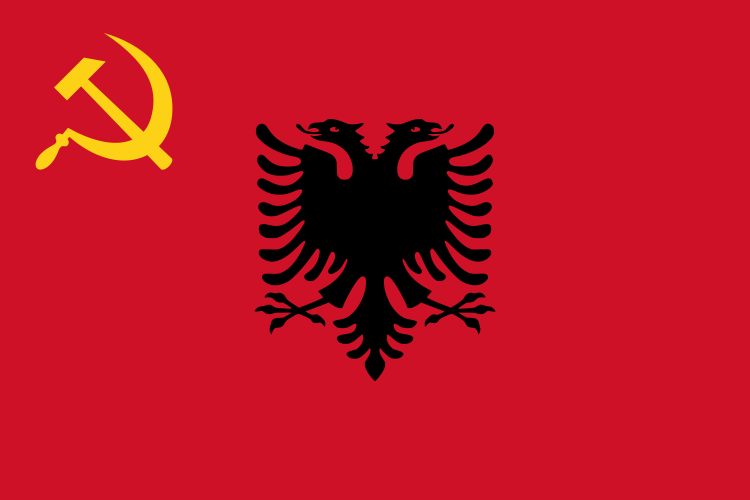 This entry was posted in Africa, Albania, Anti-Imperialism, Armenia, Asia, British Imperialism, Bulgaria, Capitalism & Bourgeois Liberalism, Capitalist Exploitation, Capitalist Repression, Capitalist Restoration and Counterrevolution, China, Common Sense, Democratic People's Republic of Korea, East Asian & South Asian Liberation, Eastern Bloc, Europe, Fascism, Fascist Massacres, Fidel Castro, France, French Imperialism, Genocide, Georgia, German Imperialism, Germany, Greece, History, Ho Chi Minh, How Will Communism Work, Hungary, Imperialism & Colonialism, Imperialist War, Internationalism, Italy, Japan, Joseph Stalin, Khrushchevism/ Brezhnevism, Lies & Propaganda, Life in Socialist Countries, Mao Tse-tung, Maoism, Marxism-Leninism, Myth-Busting, National Liberation, NATO imperialism, North America, Poland, Polemics & Refutations, Reading Lists, Revisionism, Romania, Russia, Russian Imperialism, Socialist Revolution, The Classics, The Union of Soviet Socialist Republics (U.S.S.R.), Theory, Titoism, Trotskyism, Turkey, U.S. Imperialism, Ukraine, United Kingdom, United States, Vietnam, Vladimir Lenin, Yugoslavia. Bookmark the permalink.